1. Heat a pan of water over moderate flame. 2. Add jaggery and stir till it dissolves completely. 3. Strain this to remove any impurities. 4. 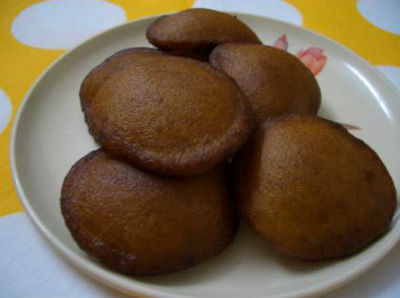 Combine rice flour, rawa and wheat flour with the jaggery water to make a thick batter of pouring consistency. 6. Pour the batter using a deep ladle in the center of the pan. 7. When it comes up, turn over and remove quickly while it is soft. Feel free to comment or share your thoughts on this Appam Recipe from Awesome Cuisine.